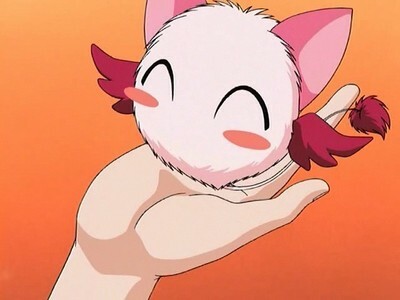 What was your kegemaran funny moment from Mew Mew Power? The peace within the city was utterly interrupted sejak the sounds of constant crashing and roaring. A very large, monster-like creature was attacking something. While that certain something wasn’t visible through the chaos it became obvious that whatever it was attacking was a nescience. Nurse: *Walks in* Zoe, Mimi, anda can see Kota now. Elliot: Kota also has a bad concussion. It'll be a little while before he can alih his legs. Zoe: I can't believe anda are Kamen Rider Gaim, Kota. Kota: *Sighs* I'm really sorry, I should have told anda before. Elliot: *Walks in* Kota, may I speak to anda in private? Elliot: I'm really disappointed in anda Kota. But there is something that I must tell you. Quiche: Well it's nice to meet you. But why did anda summon me this rock? Takatora Kureshima: I need anda to bring me a specimen of a thing called the "Mew Mews". Zoey: -stops him- anda JERK!!!!! HOW DARE anda NOT HELP RENEE!!!!!!!!!!!!!! Zoey: I know anda Cinta Renee, and anda must help her! Please, she is one of my Friends! Tsukasa: But why do anda care about me all of a sudden? Cornia: Renee fell asleep and won't wake up, and only your Ciuman will wake her up! Previously on “A New Generation”, chaos erupted when both Kasey and Bridget suffered from illness. With them both in agony, it was a hard time fighting against the Cyniclons with only four of the girls in the spotlight. But a miracle happened when Kasey showed up- recovered and healed. He helped them defeat the aliens once again. But it also seemed as if Elliot is starting to have trust with Kasey lebih and lebih each hari and it’s a delightful moment, despite that he didn’t tell anyone but Wesley. a comment was made to the poll: What should i make my tunjuk out of?